Afternoon DelightsVintage – The vintage shop for the people, Afternoon Delights brings you furniture, clothing and collectables from the past 100 years. Please Share your memories with us. Touch, play with and sit in our wonderful treasures and chew the fat with a couple of like minded lads. We source furniture, Clothing and collectables from all over Australia and more recently NZ, USA and the UK. We also sell on consignment and encourage our community to share in our dream of giving new life to all that is old or forgotten. We look forward to meeting you all and can’t wait to show you our world and bring back some awesome memories in the process. 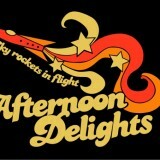 Please follow us on Instagram _afternoondelights- to stay in touch.